The fact that so many smartphone manufacturers, with Huawei instantly coming to mind, still haven’t stopped using images shot with a DSLR to fake handset camera shots, continues to be perplexing. While smartphone shooters are getting better, they still don’t match the quality of even a low-end DSLR. The latest company to get busted for attempting to pass off a DSLR photo as an image taken with a smartphone is Samsung. 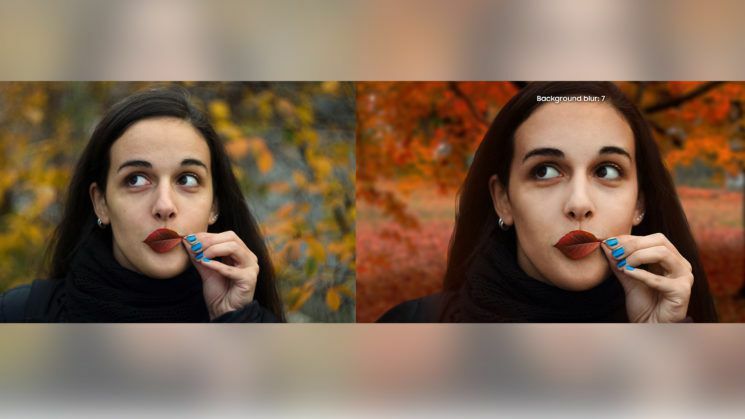 Dunja Djudjic, a photographer and writer at DIYPhotography, first spotted the ruse after discovering that Samsung Malaysia used one of her photos to advertise the Galaxy A8 Star’s depth-of-field, portrait mode functionality. Dunja Djudjic believes that her photograph was licensed through a photo site called EyeEm, indicating that the image wasn’t stolen by the South Korean tech giant. Instead, the problem is that the photo was clearly taken with a DSLR and not the A8 Star. Though the ad doesn’t explicitly state that the image was taken with the A8 Star, it certainly implies that this is the case. Further, Djudjic says that the photo was also significantly edited, including the subject of the image being cut out of the foreground, touched up and then subsequently even pasted over a completely different background. The Galaxy A8 Star released in Asia earlier this summer and likely won’t make its way to Canada.